How many times have you bought an organic soap and thought that it looked dull? A Pune-based makeup artist is making artisanal beauty products that are ideal for sensitive skin and look good too. Mimosa Bath & Beauty was started by Poonam Lalwani in an attempt to cater to her own skin. Tired of how boring most artisanal soaps looked, Lalwani learnt how to make beauty products at home and developed them. All products are made organically, although Lalwani doesn’t have an organic certificate yet. But, she uses shea butter, beeswax and other naturally available materials. The fragrances too are what you’ll rarely find among home-made beauty brands in India. This brand mainly uses raspberry vanilla, cherry blossom, orange cinnamon and champagne, citrus burst, mint and eucalyptus among others. But the USP of the brand isn’t their fragrance or how they’re made. Lalwani says every time she ordered from a homegrown beauty brand, the product that was delivered home rarely looked as good as the picture. So she gave her line of products good looks too. So, you’ll find lovely pastel toned body scrubs, soaps that are colourful and bright and more. And because the products look good, they work as great gifting options too. Under Mimosa Bath & Beauty, you’ll find soaps, body scrubs, body butters, bath bombs and lip balms. The price range starts at INR 200 and goes upto INR 450. If you’re looking to gift someone a little beauty hamper, Lalwani makes gift boxes under INR 1000. You can message Mimosa Bath & Beauty on Facebook or Instagram to place orders. We’d love to see cooler bath bombs from the brand. 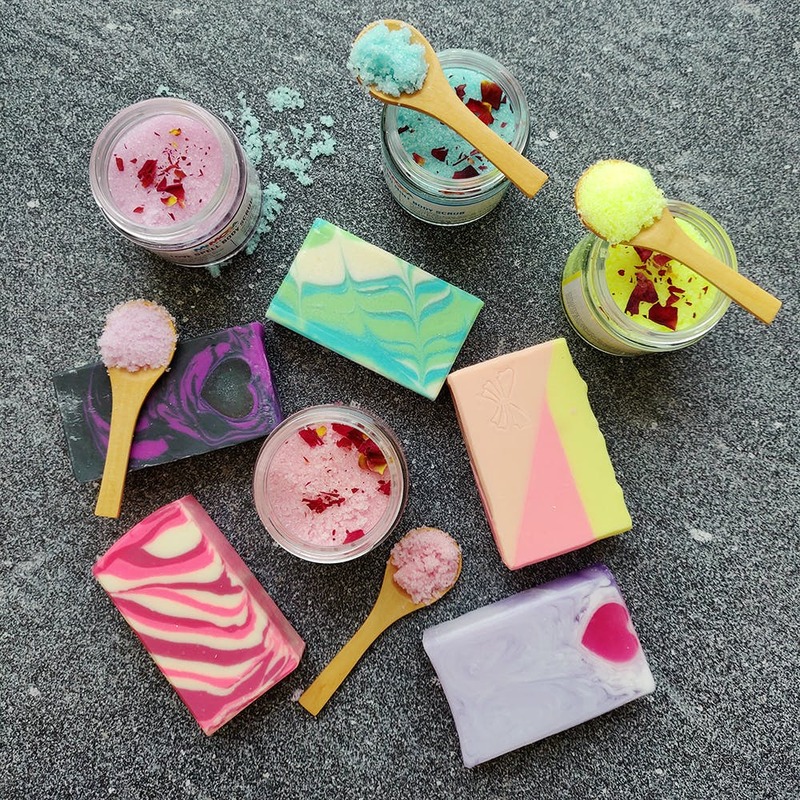 If Mimosa can make cool soaps, imagine how much cooler their bath bombs can be. Drop in at Cut.Inc in Koregaon Park, which is Lalwani’s makeup studio and salon, where she also sells these beauty products.